‘Funtoosh’ had been appreciated as a classic movie of the 50’s. The movie that was released in 1956 themes around the story of a mentally retarded man, Dev Anand, who was just released from a mental asylum. 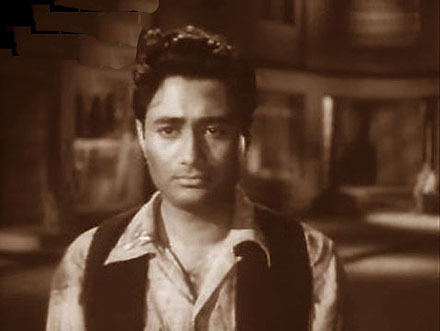 The song ‘Dukhi Man Mere Sun Mera Kehna’ is picturised on Dev Anand, who plays the lead role in the movie. This song is one among the popular hits from the fantastic association of S D Burman- Kishore Kumar pair. Sahir Ludhianvi carved the best image for the character played by Dev Anand through the appropriate lyrics that typified the feelings of a downtrodden class of our society, the mentally disabled. 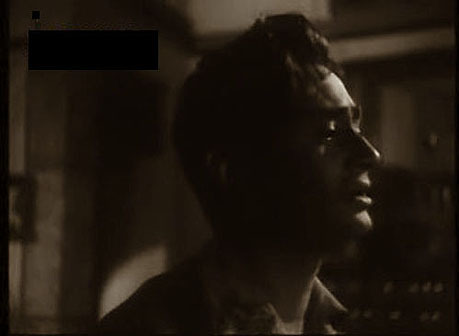 Kishore Kumar was selected as the singer most appropriately by the creators of the movie and the music. The variation in his tone that appropriated the moods of a ‘dukhi man’ is the most attractive feature of the song. The movie ‘Funtoosh’ reminds us of the typical funny picture attributed to the mentally challenged people of our society. However, through the movie and its funny title, the director sarcastically criticizes the views of the society that it carries towards the mentally disabled. Through the story of Funtoosh (Dev Anand), Chetan Anand, the director, explains the fate of the most exploited community of our world. The fate of Funtoosh was miserable as he was left out of a mental asylum and had to face a world that was totally strange for him. It was when he was at the verge of ending his life, he got a savior in the form of a wealthy man. However, the irony is that the man saves Funtoosh’s life in order to procure a good insurance amount. The life of Kishore Kumar as a singer has been highly momentous because of his association with S D Burman. The duo worked for many Bollywood hits of the past, until the death of Burman in 1975. The Bollywood identified them as the inseparable combo of Indian music. After the demise of S D Burman, Kishore Kumar continued his association with R D Burman, S D Burman’s son. The music created by S D Burman in the song ‘Dukhi Man Mere Sun Mera Kehna’ aptly suits the lyrics. The song as a whole creates a sympathetic feeling towards the character played by the music. The depth of the voice, the sweetness of the melody, and the power of the words- all these combinely contributed towards the success of this great song that had been reverberating in the hearts of the altruists for decades. Through this song, Sahir Ludhianvi throws the powerful thorns over our social setup. The song mocks at the stony hearts possessed by the humanity towards the underprivileged. He sympathizes with the grieving soul that was denied the right to live in this materialistic world. At the end of the notes, Funtoosh realizes that he is not fit to live in this world, and that he ends all his hopes about life. This entry was posted on Saturday, June 16th, 2007 at 9:05 am	and is filed under Suhane Geet. You can follow any responses to this entry through the RSS 2.0 feed. You can skip to the end and leave a response. Pinging is currently not allowed. This is a great semiclassical sad song of Kishoreda,our GOD. A master piece of sad songs sung by KK under SDB. Possibly this is KK one of the best sad songs of all times. It is amazing that he could sing ‘Panch Rupaiya Baarana’ at one time and ‘Dukhi Mann Mere’ at another instant. His other sads songs sung in the 60s and 70s are also truely remarkable. A lot feeling can be seen in his redention of any sad song. HATS OFF TO THE WORLD’S GREATEST GENIUS KISHORE KUMAR. The comparison of Kishore to Rafi is not fair, Kishores voice gives me goose bumps. Rafi is great but kishore is greater. Mano: A comparison of careers and preference from MDs clearly shows who is greater. Mano is rright,Kishoreda is better than any other singer in the world.